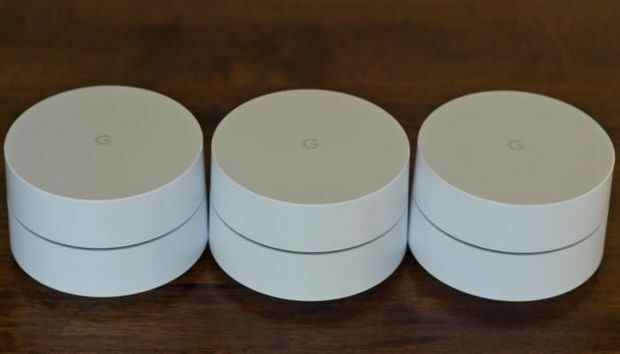 We only looked at the first iteration of Google Wifi, the company’s mesh networking set-up, a few months ago and already it looks like version two is in the works. A Google filing recently spotted at the FCC describes a new dual-band router, possibly an update to the company’s Google Wifi. PDFs included with the filing mention a model number AC-1304—compared to the current model, which is NLS-1304-25. The most notable change, as first spotted by Android Police, is that this router apparently is not equipped with a ZigBee radio. Google filed an RF exposure evaluation report for a 2.4GHz wireless LAN, a 5.0GHz wireless LAN, and Bluetooth LE, but nothing for a ZigBee radio. The suspected Google Wifi label spotted at the FCC. ZigBee is an open, low-power wireless technology for smart home products. It’s controlled by the ZigBee Alliance, which includes Intel, Philips, Samsung, and Qualcomm as member companies. Philips’ Hue smart bulbs are one of the most popular ZigBee products. ZigBee has been chasing the dream of being the unifying IoT application layer for years but is only one of several standards vying for that title. Why this matters: Google and ZigBee have become increasingly cozy over the past few years, announcing at CES 2017 plans for the ZigBee Alliance to certify devices that use the Google-developed Thread protocol for networking. It wouldn’t make sense for Google to back away from ZigBee now. What might be happening instead is that Google is working to incorporate ZigBee into some other home networking product—perhaps a new Google Home that also functions as a smart home hub. But that is pure speculation on our part.